In this article we list the top 10 reasons to consider doing a martial art for fitness and weight loss to help you decide if doing one is right for you. It’s no coincidence that gyms, personal trainers and producers of exercise videos and DVD’s are now heavily incorporating training techniques and exercises from a wide variety of martial arts in their workouts. Boxercise, Tae Bo, Cardio-Kickboxing, Kung Fu Aerobics, and personal trainers using punching bags, focus mitts and kicking pads in their sessions are just a couple of examples of how martial arts training is being used in cardio workouts for fitness and weight loss. Because martial art training is typically high intensity and usually lasts for at least an hour in most cases, it burns a maximum number of kilojoules or calories per workout and is therefore great for anyone who wants to lose weight and lose it fast. Most martial arts incorporate exercises and drills that improve cardiovascular fitness and endurance, help build muscle strength and improve muscle flexibility so they are perfect for anyone wanting to improve their overall fitness. Cardiovascular fitness improvements require us to regularly elevate our heart rate for extended periods and most martial arts training can help us do that. Improving the strength, size and shape of our muscles requires us to regularly subject them to some form of resistance training. Martial arts training helps provide this training by requiring us to perform exercises like push-ups and squats using our own body weight for resistance. Improved flexibility is a natural byproduct of martial arts training because most, if not all styles of martial art incorporate stretching exercises in their workouts. As a result of providing all of these fitness benefits, martial artists like boxers and kickboxers are widely regarded as being among the fittest athletes in the world and practitioners of karate, judo, etc are considered among the strongest pound-for-pound and most flexible athletes in the world. One of the most obvious benefits of doing a martial art is that it provides us with the fitness, strength, skill and techniques necessary to protect ourselves from being attacked by others who are out to harm us if the need should ever arise. Like an insurance policy, we hope you’re never in a position to have to use your martial arts training to defend yourself, but it’s great to know this ability is there just in case. Because they are primarily concerned with elevating our heart rates to burn energy and improve our fitness, many of the workouts listed above like Tae Bo, Boxercise, etc don’t really provide this benefit to the same extent as doing martial arts training with a dedicated teacher in a martial arts school that only provides one service – to teach you a specific martial art. Many people mistakenly believe that because they punch a focus mitt 50 times during a session with their personal trainer that they know how to punch properly and can therefore defend themselves if they need to. This is a big mistake and we hope these people never find themselves in a situation where this belief is tested. 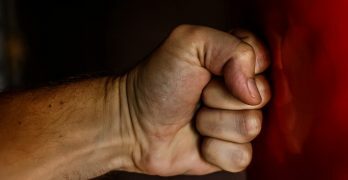 Unless they’ve had many years of martial arts training themselves, most personal trainers and gym instructors will not be able to offer advice about your punching and kicking technique, they are only really qualified to hold the focus mitts or kick-pad for you while you punch or kick them. Remember, while probably great at what they do, these trainers are more like aerobics instructors than specifically qualified martial arts instructors. In addition to providing us with the ability to defend ourselves, one of the greatest personal benefits that martial art training provides is a high degree of self-confidence. This self-confidence partly results from the knowledge that we are much better equipped to defend ourselves given that we have done some martial arts training, but it also comes from a sense of achievement once we begin to master the techniques taught to us and the new confidence that results from feeling fitter and stronger and looking fitter and stronger. Given that one of the first things to suffer, and one of the hardest things to reestablish afterwards, when we become overweight is our self-confidence this benefit is of particular value to those of us who have a weight problem. As well as helping us to become fitter and stronger, martial art training typically involves the mastery of a range of techniques that requires us to be well-balanced and have superior body coordination. In learning to master these techniques we naturally improve our balance and our coordination which helps us with other aspects of our daily life. 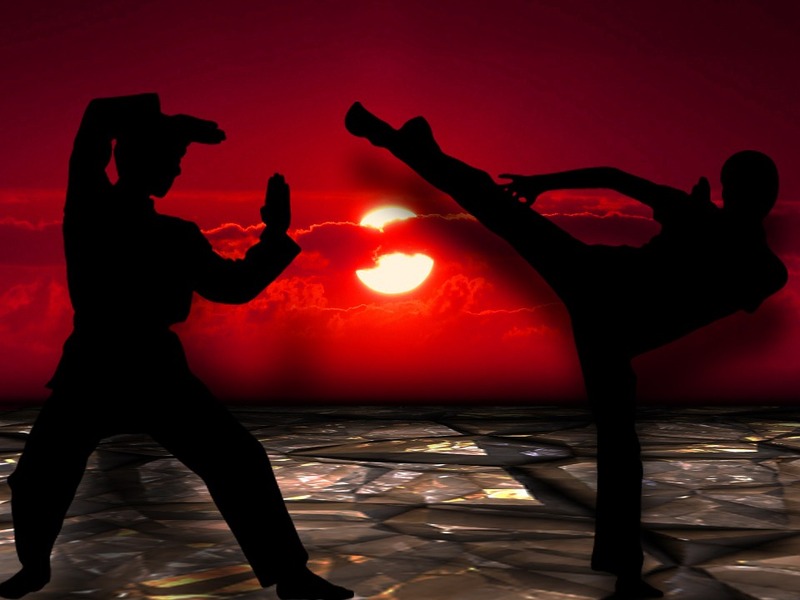 Martial art training provides great variety in two ways. 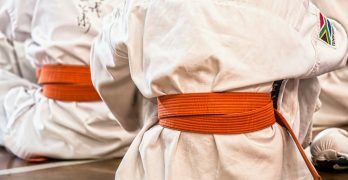 Firstly, martial arts training sessions themselves have great variety built into them by including warm-ups and cool-downs, stretching exercises, strength building exercises, cardio exercises and exercises designed to improve and teach us a wide variety of techniques. This variety is great for our mind as well as our body. Secondly, there are such a wide variety of martial arts to study that we should be able to easily find one that suits our particular goals and interests. Whether we prefer to do a martial art that primarily revolves around striking or grappling techniques or a perfect mix of both, or we want to study a highly technical or very simple style, the choice is great. 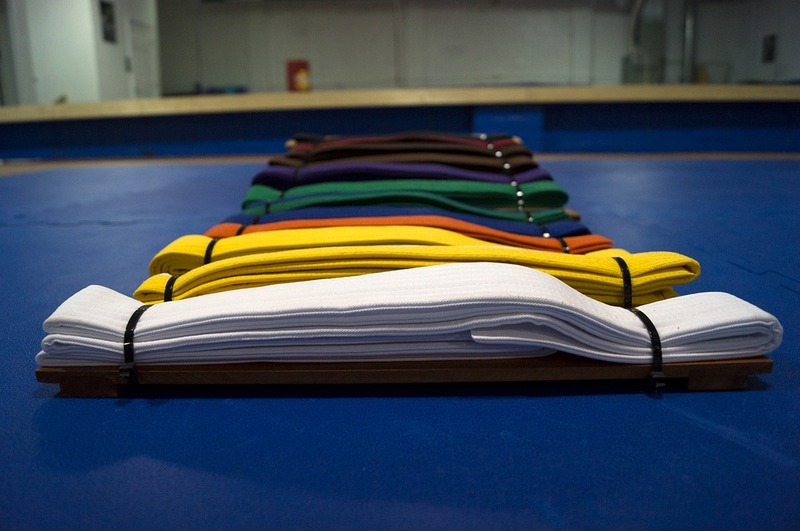 Everybody knows that studying a martial art requires and teaches discipline. 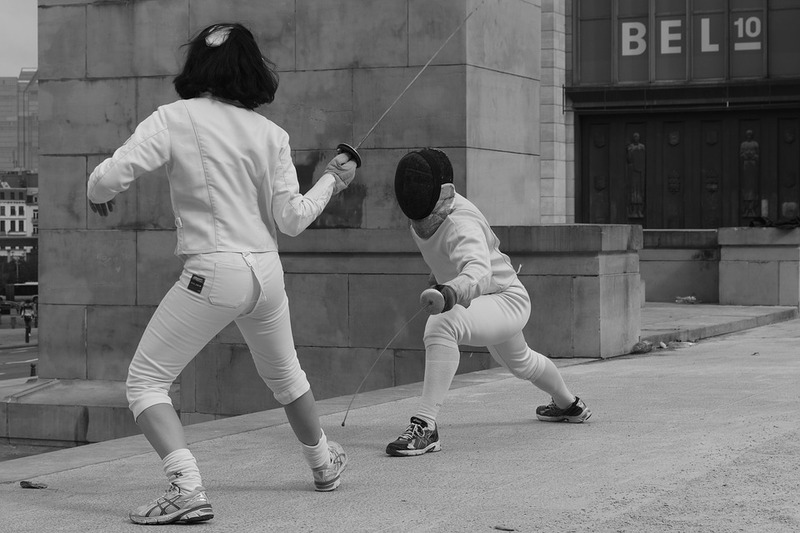 Because it is also goal orientated, training in one of the many martial arts also provides a great deal of motivation. Lack of discipline and motivation are the most often quoted reasons for weight loss failures and for this reason, doing a martial art for weight loss and fitness may help many of us who lack the required discipline and motivation to achieve our weight loss goals to overcome these common barriers to success. 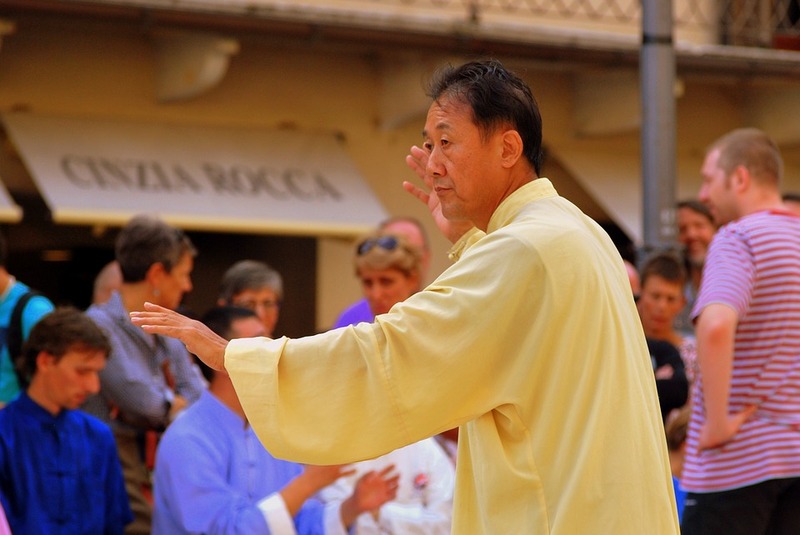 Martial art training has been practiced by millions of people over many centuries because among other things, it has a great ability to spiritually uplift us. As well as forging a better connection between our mind and body, it also has the ability to forge a better connection between us and our world and us and others. Compared to joining some gyms and hiring some personal trainers, training at a martial arts school or dojo is relatively inexpensive. Many martial arts schools charge a very modest monthly fee for training and the beauty of this is you can train when and as often as it suits you. In addition to low ongoing training costs, buying a uniform and any equipment you may need to train in most cases will be relatively inexpensive as well. Many people who start doing martial arts training for weight loss, improved fitness or self-defense end up enjoying it most for its social aspects. As well as training and learning with others with similar goals, many martial arts trainees help encourage and motivate each other and end up becoming very good friends. Many martial arts instructors too have very friendly dispositions and foster a fun and friendly environment in which to train which endears them to their students who typically also become close friends. In this article we listed the top 10 reasons to consider doing a martial art for fitness and weight loss to help you decide if doing one is right for you.